The long-awaited 2015 IUCN Red List assessment for polar bears was released today (Wiig et al. 2015) and it includes some rather astonishing details − including the fact that the population trend is unknown. 1) It confirms the global population size I published in May 2015 (20,129-32,558; average 26,344). See the graph below, now amended to reflect this point. If global numbers do decline over the next 35 years, it will be from a high point not previously acknowledged by the IUCN Polar Bear Specialist Group (PBSG). 3) It puts the generation time for polar bears at 11.5 years (range 9.8-13.6), a huge drop from the 15 years used in previous predictive models. This change makes a big difference to the model results: three generations (the minimum period needed to show a trend) are now 35 years rather than 45 years. 4) It states there is a 70% chance of a 30% decline in polar bear numbers by 2050 and a 7% probability of a reduction > 50% if sea ice declines as predicted, but noted the large amount of uncertainty in these projections. That means there is a greater chance that numbers will not decline by 30% in the next 35 years (a 30% chance) than that the numbers will decline by 50% or more by 2050. That sounds like good news to me. 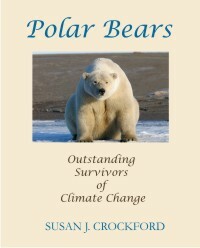 5) It will continue to list polar bears as Vulnerable. 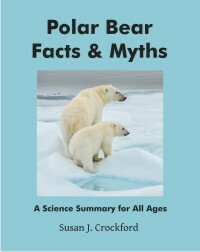 PBSG biologists managed to prevent polar bears from being listed as Least Concern or perhaps Near Threatened. But they had to give up a lot to get it. 6) The report supplement (Wiig et al. 2015 supppl.) 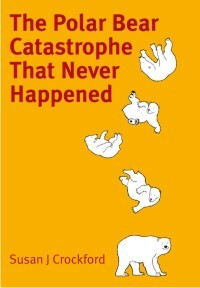 explained why they did not calculate extinction probabilities and extinction is not mentioned at all on the IUCN Red List polar bear assessment page. This assessment only considers the probabilities of a decline in population size by 2050. Apparently Dena Cator does not expect that people will read the report or find the assessment page on the IUCN Red List website – or she’s giving her personal opinion rather than explaining the report results. More on the points above and links to the report supplement pdf below, with quotes.